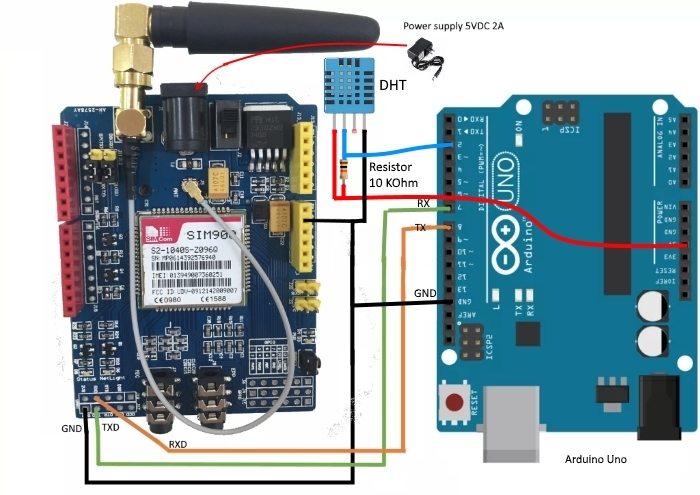 In this project we will learn how to connect SIM900 GSM GPRS Quad-Band Development Board and DHT 11/21/22 module to Arduino board and how to request sensor data via SMS. 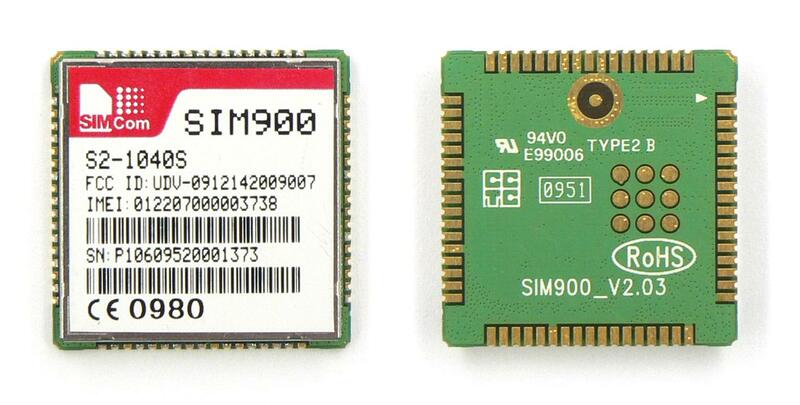 SIM900 GSM GPRS Quad-Band Development Board uses the original SIM card size. If you have micro or nano you will need to get a SIM card size adapter. Make sure your SIM card is unlocked. 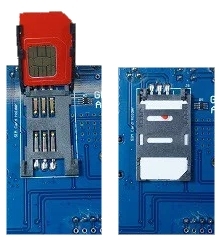 To use the SIM card with the SIM900 GSM GPRS Quad-Band Development Board, you need to turn off the pin lock. The easiest way to do this - insert the SIM card in your smartphone and turn off the pin lock in the phone security settings. 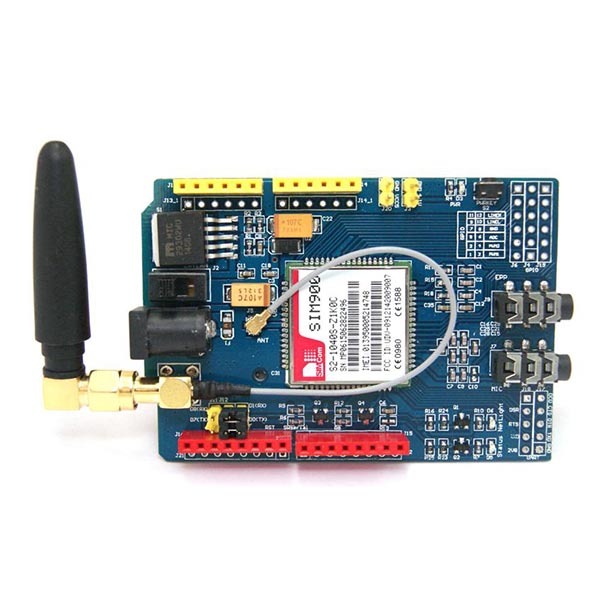 You can automatically turn on the SIM900 GSM GPRS Quad-Band Development Board via software too. 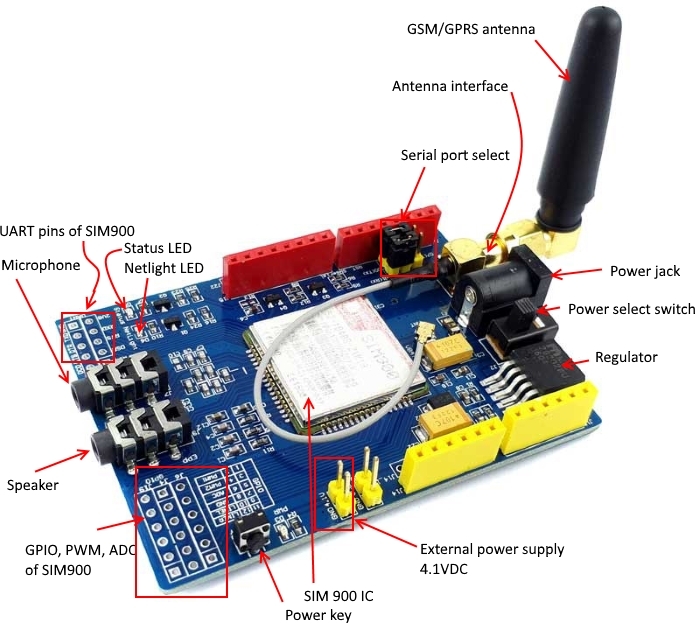 Attach GSM/GPRS antenna to SIM900 GSM GPRS Quad-Band Development Board. Make sure the antenna is well connected. A miniature coaxial RF connector is present on the SIM900 GSM GPRS Quad-Band Development Board to connect with a GSM/GPRS Antenna.The connector present on the GPRS Shield is called a U.FL connector. 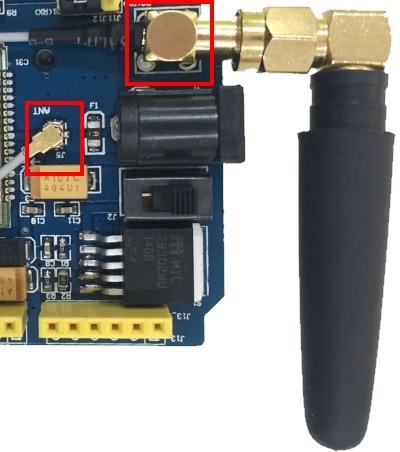 The GSM Antenna supplied with the SIM900 GSM GPRS Quad-Band Development Board has an SMA connector (and not an RP-SMA connector) on it. 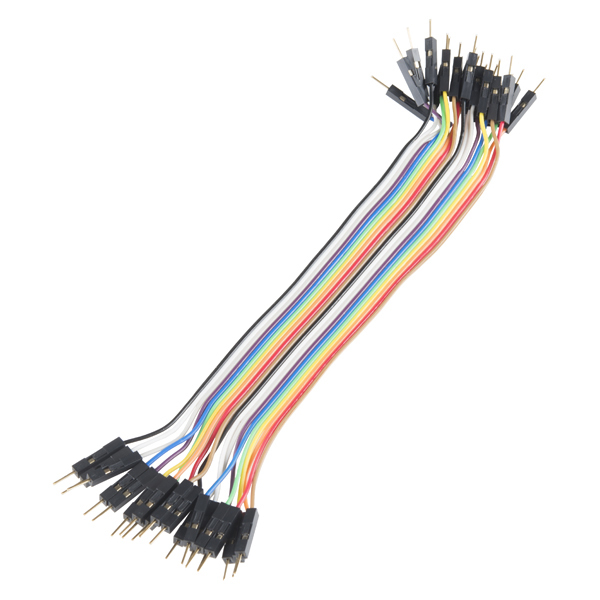 A patch cord is also supplied with the SIM900 GSM GPRS Quad-Band Development Board to interface the antenna to the board. Insert a valid unlocked SIM card to SIM Card Holder (slot) - 6 Pin Holder for SIM Cards. 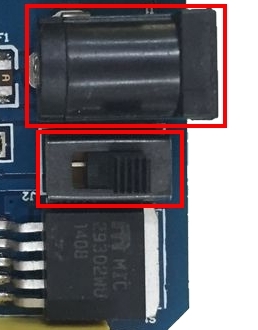 Both 1.8 volts and 3.0 volts SIM Cards are supported by SIM900 - the SIM card voltage type is automatically detected..
On the Serial port select, make sure the jumper cap is connected as shown in figure below to use software serial. 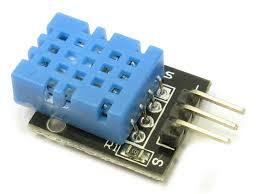 You can power up SIM900 GSM GPRS Quad-Band Development Board with power supply adapter (5VDC 2A) POWER JACK interface. We used the 5V DC 2A power adapter. Next to the power jack there is a toggle switch to select the power source. 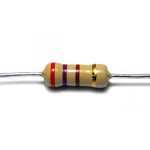 Next to the toggle switch on the board, there is an arrow indicating the toggle position to use an external power supply – move the toggle switch to use the external power supply as shown above.When the module powered on, the green LED power on indication (PWR) will be ON. To power up/down the shield press the POWER KEY for about 2 seconds. Then, the Status LED (blue) will light up and the NetLight LED (red) will blink every 800 ms until it finds the network. When it finds the network, the NetLight LED will start blinking every three seconds. 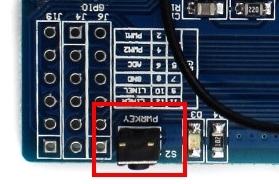 Modify the sketch with the phone number your Arduino board should reply the readings to. When you send an SMS to the Arduino with the message “STATUS”, it replies with the latest temperature and humidity readings. 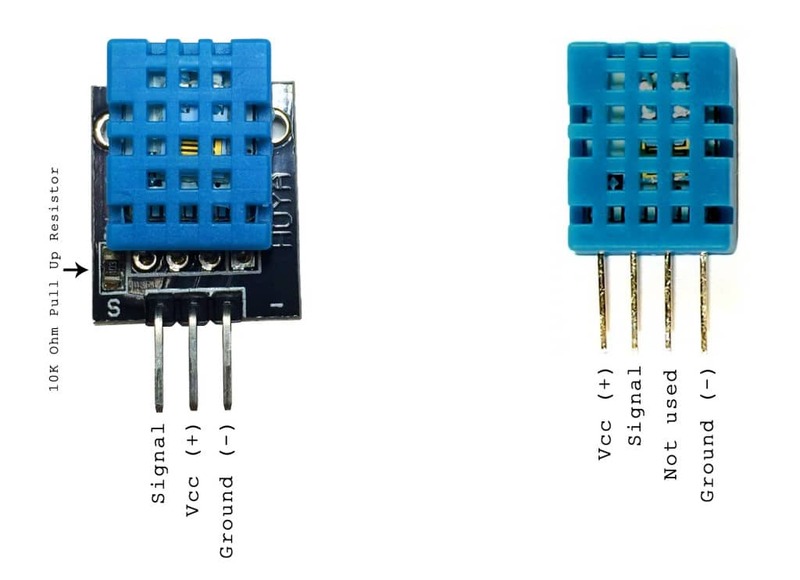 The following code reads the temperature and humidity from the DHT sensor and sends them via SMS when you send an SMS to the Arduino with the message “STATUS”. 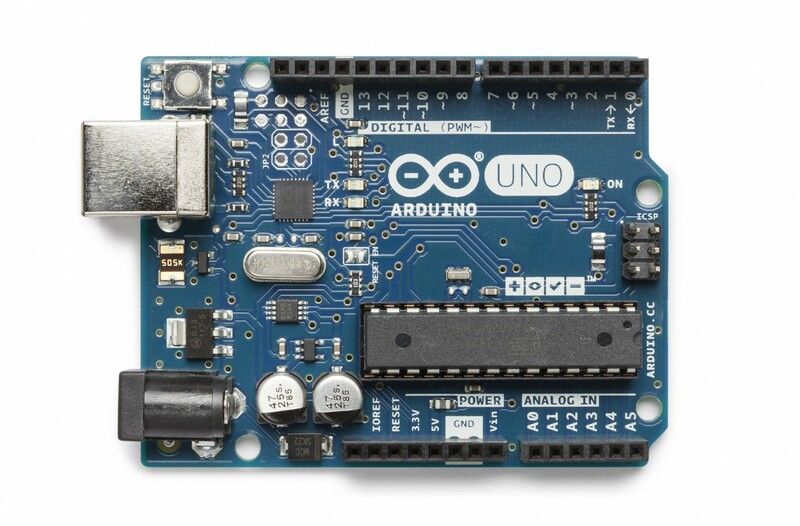 You need to modify the code provided with the phone number your Arduino should reply the readings to. In the setup(), you begin the DHT and the SIM900 GSM GPRS Quad-Band Development Board Shield. 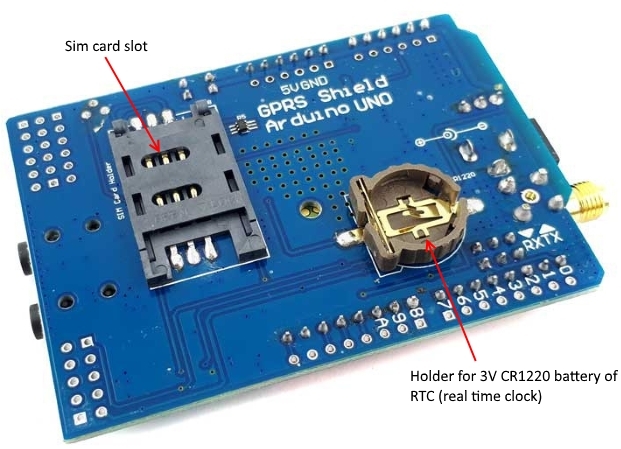 The SIM900 GSM GPRS Quad-Band Development Board Shield is set to text mode and you also set it to send the SMS data to the serial monitor when it receives it. In the loop(), you check if there was an SMS request with the SMSRequest() function – you check if the Arduino received a STATUS message. If true, it will read the temperature and humidity and send it via SMS to you. Replace the XXXXXXXXXXXX with the recipient’s phone number. You must add the number according to the international phone number format. For example, in Lithuania the number is preceded by +370XXXXXXXXX. 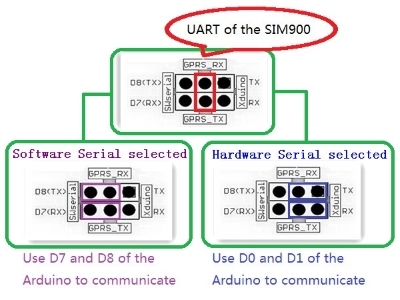 We have learnt how to connect SIM900 GSM GPRS Quad-Band Development Board and DHT 11/21/22 module to Arduino board and how to request sensor data via SMS. If SIM900 GSM GPRS Quad-Band Development Board doesn’t respond with OK. 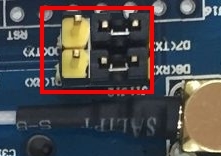 Check your TX and RX connections to the Arduino. Try repeating the process by changing the TX with the RX pins. Also check if you have selected the software serial by placing the jumper cap on the appropriate place on the serial selector.